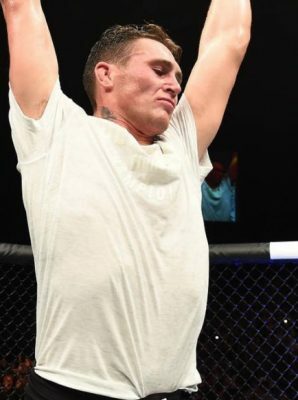 UFC welterweight Darren Till has responded to Stephen Thompson's post fight comments from UFC Liverpool. 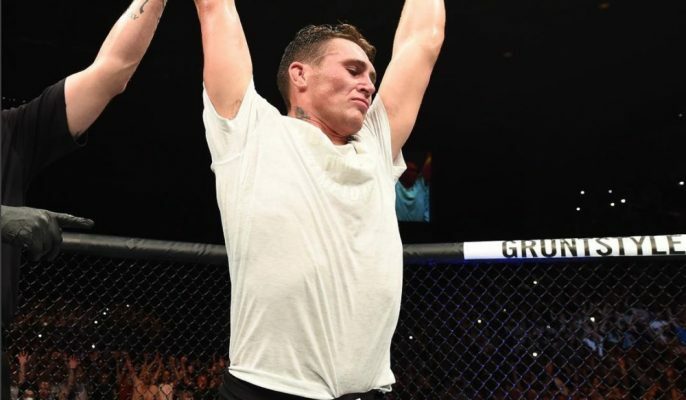 It has been nearly two months since Darren Till defeated Stephen Thompson at UFC Liverpool, but still the talks rage on about whether the Liverpudlian’s unanimous decision victory was legitimate. According to MMADecisions.com, 22 out of the 25 MMA media outlets/reporters who provided scores gave the contest to Thompson. The judges on the night, however, scored the contest unanimously to Till 48-47, 49-46 49-46 and gave him the biggest win of his career to date. Speaking in interviews after the bout, Thompson drew attention to Till’s use of kicks to the knee having had surgeries on both in the past. Thompson never went as far as saying Till cheated, but he did call for kicks to the knees to be banned and said that he thought the Liverpudlian was intentionally looking to take advantage of his previous injuries. Till today responded to these claims via his management company MTK Global and refuted any intention to cause damage Thompson’s knees. “I saw the interview did. If he wants leg kicks banned, why don’t we ban spinning head-kicks to the face while we’re at it? “I was not trying to hurt his knee. I was trying to deaden his leg to stop him using it. That was my strategy. “I know he’s had surgery on his left knee and I was not trying to cause him another injury in that area but this is a fight and we’re in the most brutal sport in the world. Till is yet to be booked for his next bout, but sources close to MMANytt are suggesting that the UFC is set on his next fight taking place in Las Vegas in either October or December. Who stands across from him in the Octagon still appears to be up in the air, but Till doesn’t appear to mind. Kamaru Usman is the most likely candidate at this point in time, but if a rematch with Thompson is put on the contract in front of him it appears Till will happily sign it. “If a rematch with Thompson is what the UFC want me to do, I’ll do the rematch. If he wants another fight, it’ll be the different this time. I’ll be much stronger. If he wants it, he can have it.